The Solitaire game is supposed to have been invented by a gentleman's prison of Bastille first years of the French Revolution. The game is played with 37 beads. 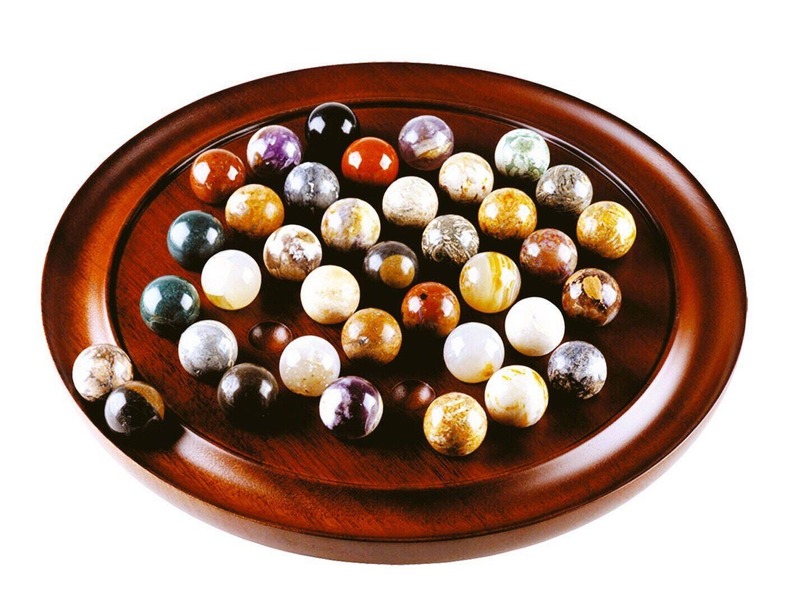 The goal is to eliminate all marbles except one, which ideally should finish at the center of the tray. wooden rosewood finish French 19 cm. 37 beads semi precious stones. wooden tray with rosewood 19 cm with 37 beads diameter 1 cm. The Romans knew this game: the poet Ovid described in detail. They played in France in the middle ages with drilled holes round trays that were nestled pellets should move. But it seems that this game was a forgotten time. Its shape and modern name date, to gather, late 16th century. A french Explorer from this era reported American where he saw Indians have fun with arrows as a ball? Or this game was invented by count Pelisson trapped on order of Louis XIV in a cell of the Bastille. The views. What comes out, solitaire was very successful in the 18th century. Leibniz, in particular, it was a lot: ' it is used, he said, perfecting the art of meditation. " As its name implies, the solitaire can play one. But if several fun, you can a contest in which each participant will try to solve the problem turn. There will be limiting the time of reflection. which contain a ball with one exception. The beads can move through this hole empty jumping over his neighbor in horizontal or vertical to put in the empty hole located immediately behind, ball eliminated her stride and reuree tablet is. The goal is to remove all marbles except one or to keep those intended to form a figure. Beware do not leave unwanted beads isolated because then it would be impossible to step over to remove the tablet. For convenience you will receive will be designated by a number, depending on the chart below. 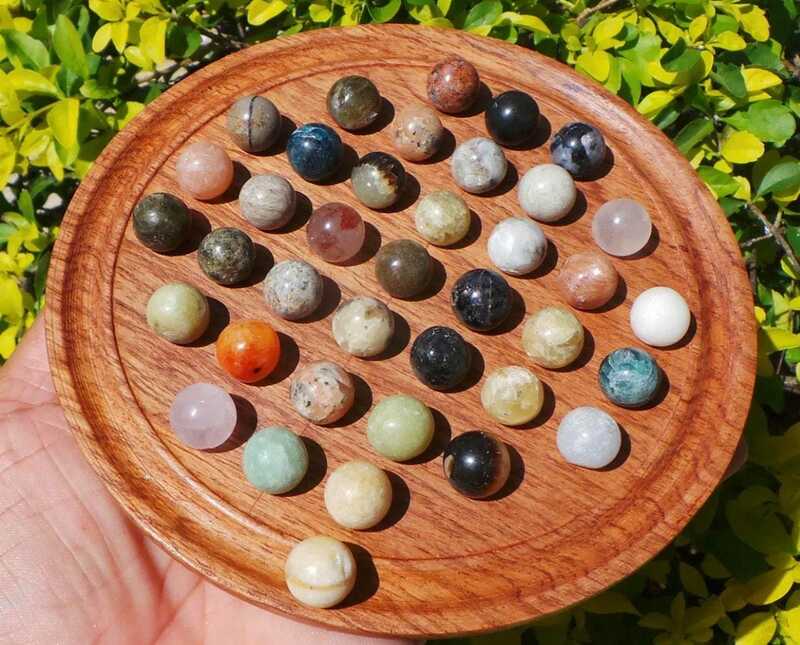 The problem is to remove all marbles except one. The empty hole is number 1. I never received this! When did it ship? Never received item this item! The shipping took way too long. The beads are much smaller than what I could imagine.....I feel like I paid more than what I could get!